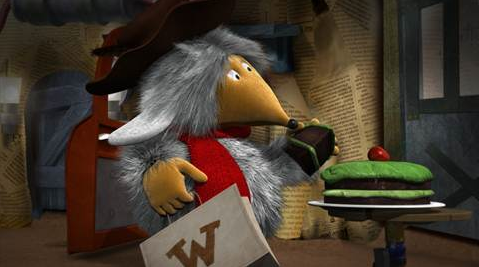 Children’s TV coproduction specialist Genevieve Dexter will co-executive produce the upcoming remake of UK kids brand the Wombles, which has been confirmed for UK broadcaster Channel 5. Earlier this month, it emerged Wombles co-creator Mike Batt and his Dramatico Entertainment label had bought out the brand’s co-owner, Wombles Copyright Holdings, and was planning a new series. Dramatico has now confirmed it is creating a new 52x11mins CGI series for Channel 5’s children’s strand Milkshake!, with a TX date of 2015 penciled in. Former Cake boss Dexter, who now runs kids TV copro specialist Serious Lunch, is now attached as co-executive producer along with Batt. She will seek to raise £5 million (US$7.8 million) to fund a variety of media products and attract further UK and international partners. Batt said he is planning a “holistic, multi-platform relaunch” of the environmentally-friendly brand, which last broadcast on CiTV between 1996 and 1998. The brand is best known for its original BBC stop motion series, which ran between 1973 and 1975. An animation test of the new show will be available at MIPJunior in Cannes this October. “Many people have attempted to bring back classic properties, and failed. What sets The Wombles apart is that they were ahead of their time, as the first recycling enthusiasts and with the extra dimension of the [music] band that brought them to a family arena,” added Dexter. Besides the TV series, Dramatico is creating an interactive Online Wombles World with digital producer Dubit and a live-action/GCI feature film, planning a new pop tour and a brand merchandise relaunch.